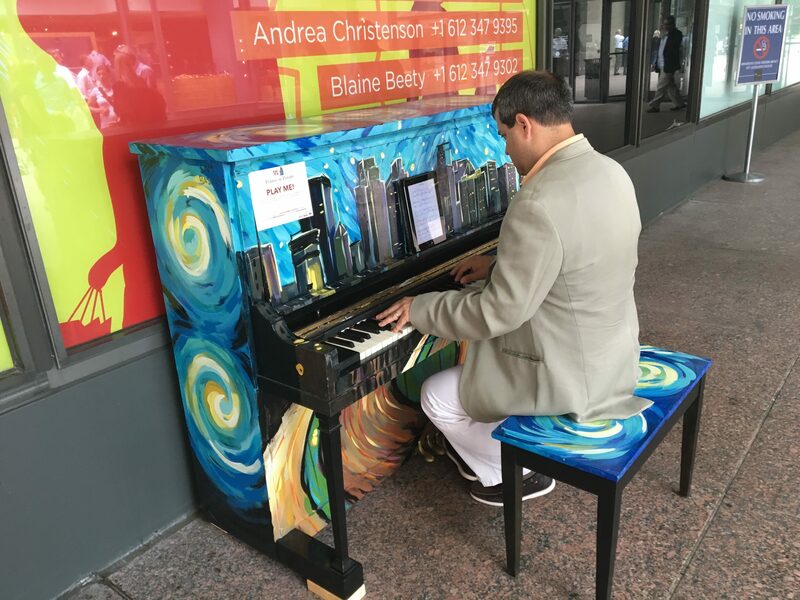 Pianos on Parade will place uniquely designed pianos throughout downtown Mpls in June. 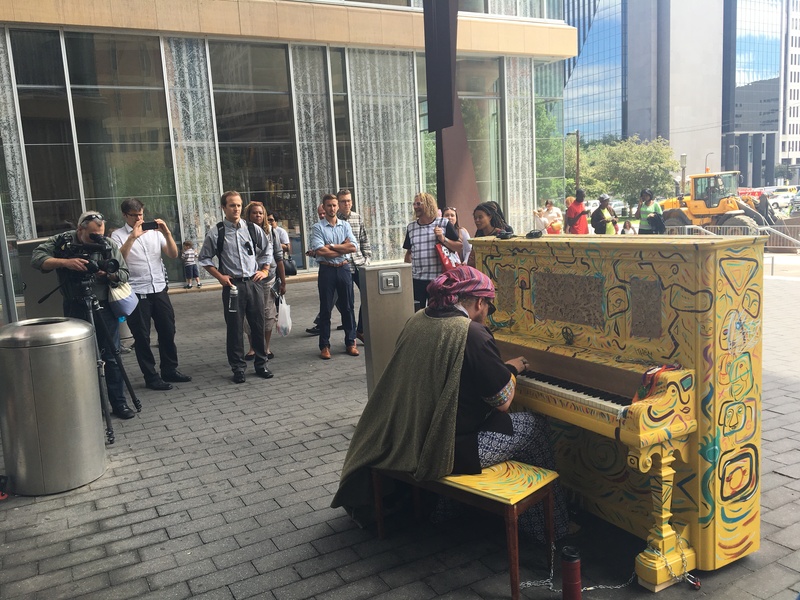 The pianos will be open for impromptu concerts as well as for programming with local musical talent. 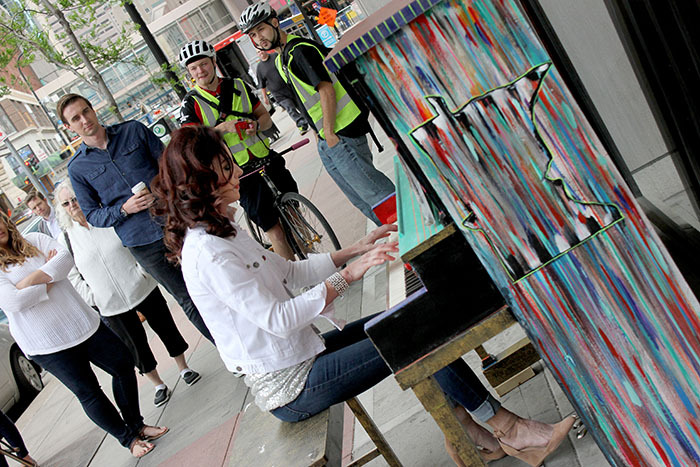 Each piano is painted by local artists to evoke a “Sounds of the City of Minneapolis” theme. 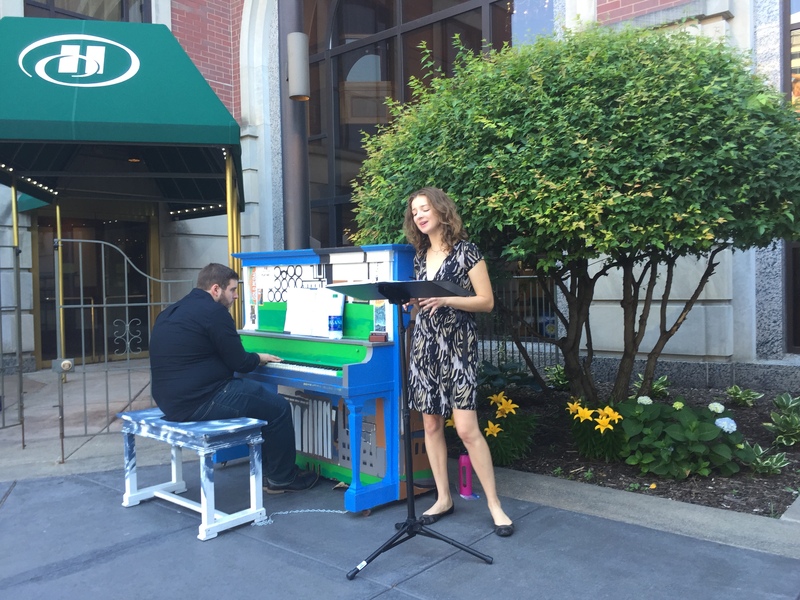 Over the past two years, Pianos on Parade had offered fun and exciting musical performances throughout our downtown community, ranging from music students to Minnesota Music Hall of Famer Lorie Line. 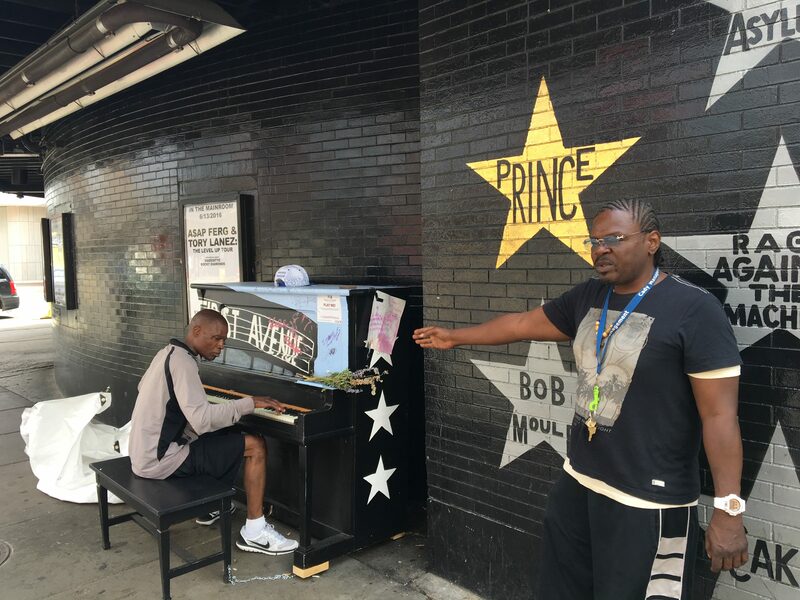 You never know who will be performing downtown! 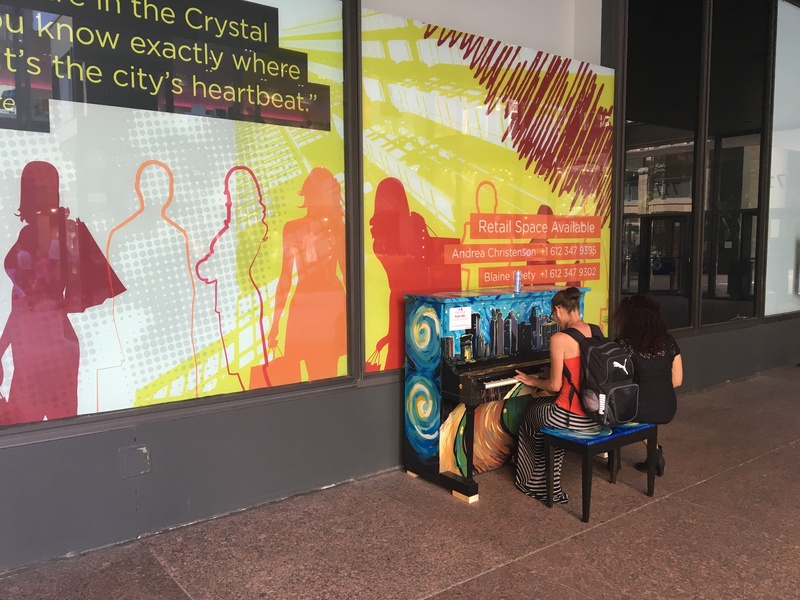 Stop by for piano performances each Thursday throughout June for special musical performances at each of our downtown Minneapolis pianos. Take a look at several PDFs with sheet music. 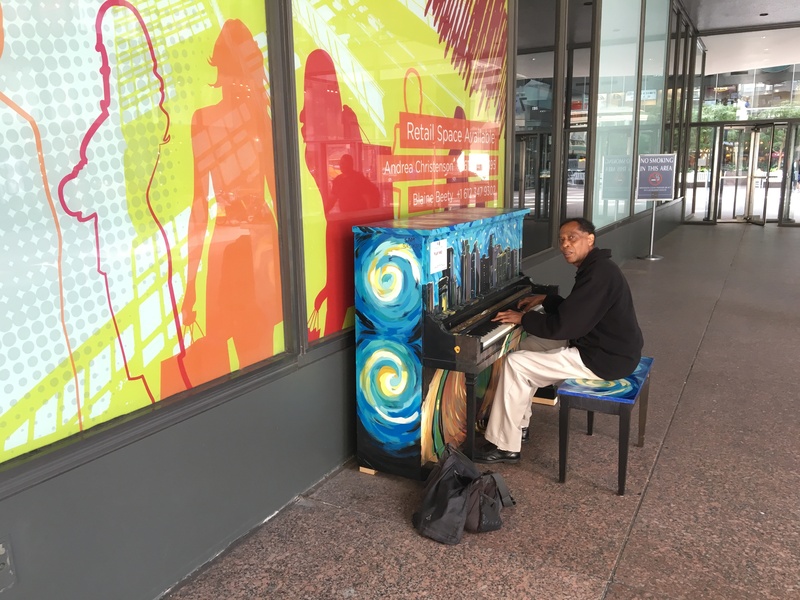 Play piano reading music off your phone or mobile device! 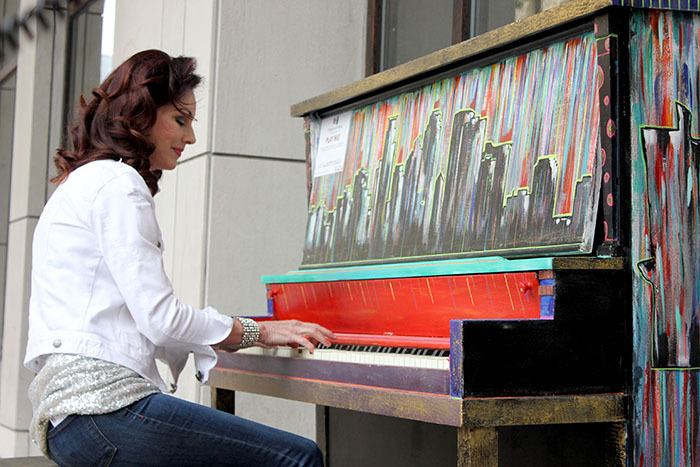 The beauty of the Pianos on Parade program is anyone can use the pianos to share their talents with the community. 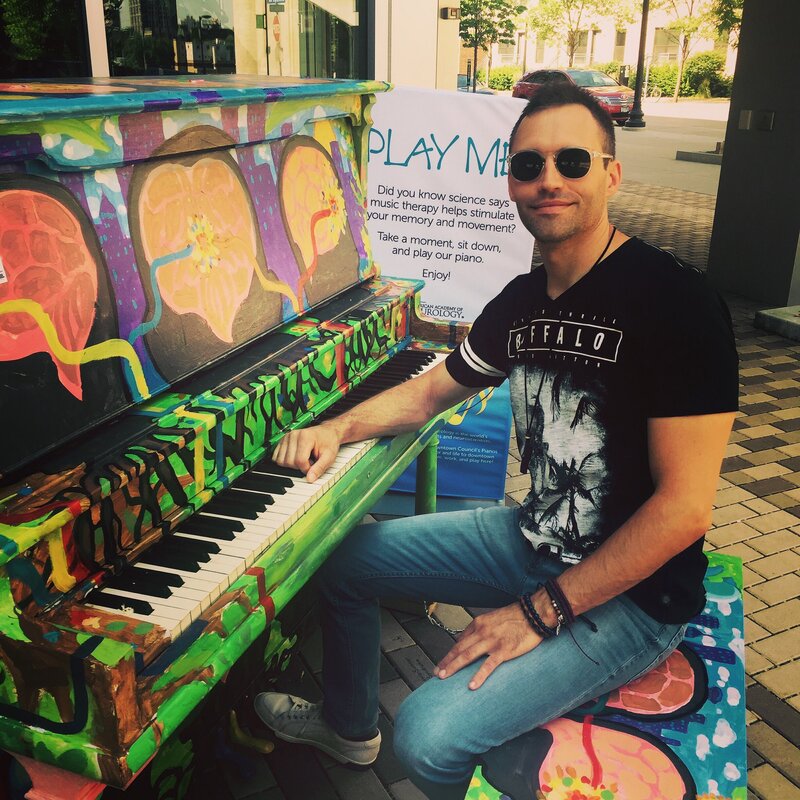 When you see a piano, pull up this sheet music and play! 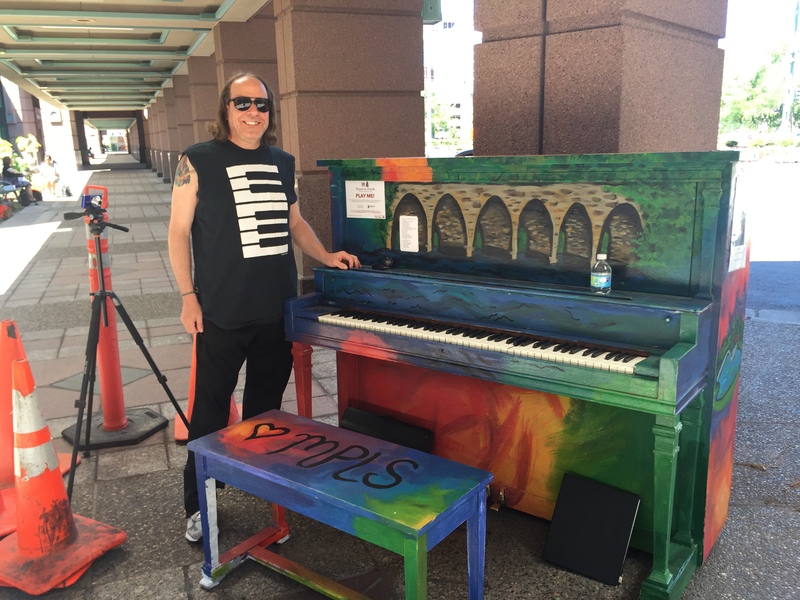 The Pianos on Parade were painted by local artists who helped showcase their visions of downtown Mpls through their art work. 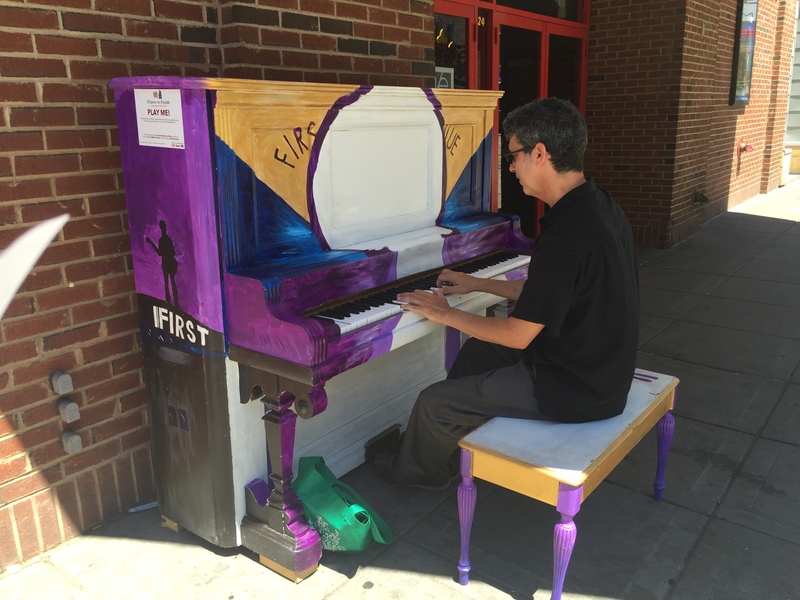 The pianos were painted in May before being placed throughout the downtown community. 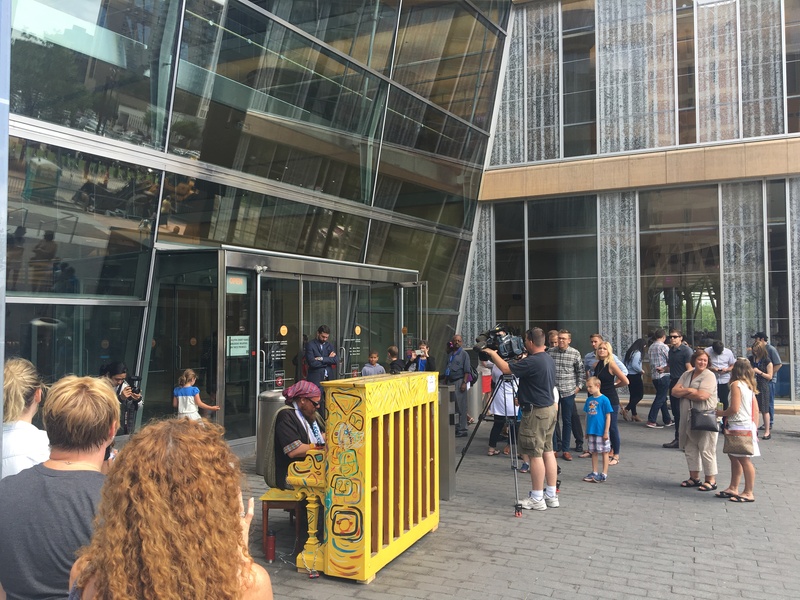 The 2017 Pianos on Parade program was also supported by piano sponsors Thrivent Financial, and our host sites: American Academy of Neurology, AT&T Tower, Bachelor Farmer, Brave New Workshop, Capella Tower, City Center, First Avenue, Fulton Tap Room, Hennepin County Government Center, Orpheum Theater, IDS Center, Lakes & Legends Brewing Company, Marquette Plaza, Minneapolis Convention Center, Peavey Plaza Renaissance Minneapolis Hotel, The Depot, YMCA, YWCA, 3rd & Hennepin, 5th & Hennepin, 7th Street between Hennepin & Nicollet, 8th Street between Hennepin & Nicollet, 10th & Hennepin, and 12th & Nicollet. Over the past two years, we’ve had a collection of surprise performances like Lorie Line, Nicholas David and Mark Mallman, music videos shot by artists Jon Storm and Mark Mallman, and an incredible group of local (and visiting) piano players who shared music daily. 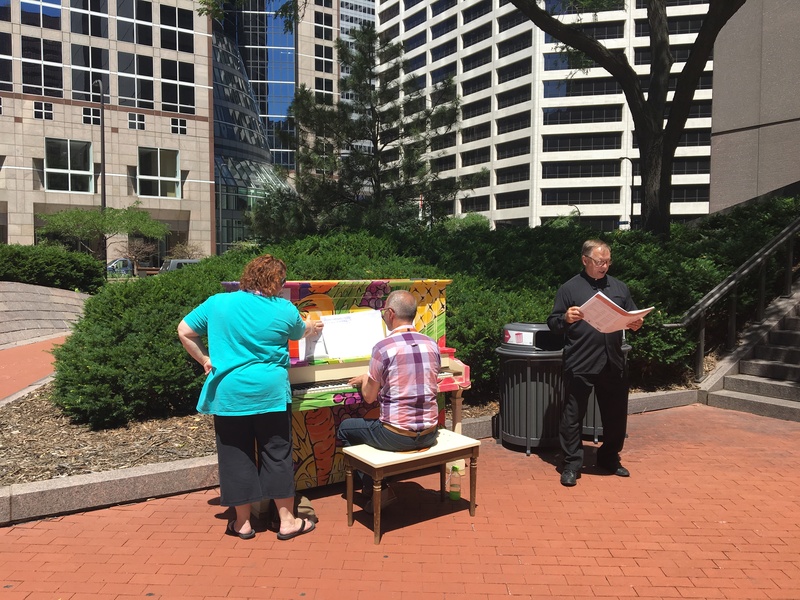 Come find a piano and play throughout June! While you’re here, don’t miss out on the opportunity to share your experience with others. 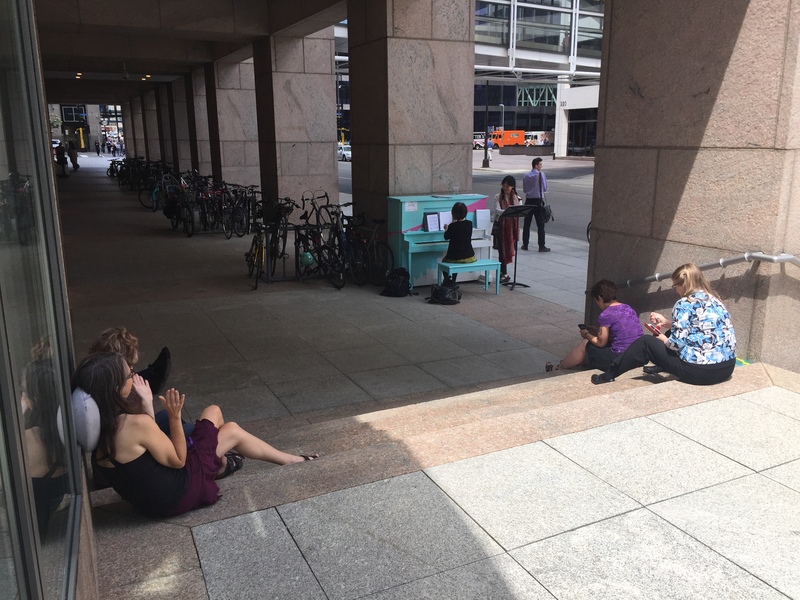 Invite friends, family and colleagues to come with you, and post your photos and videos on social media using the hashtags #pianosonparade and #mymplsdt. 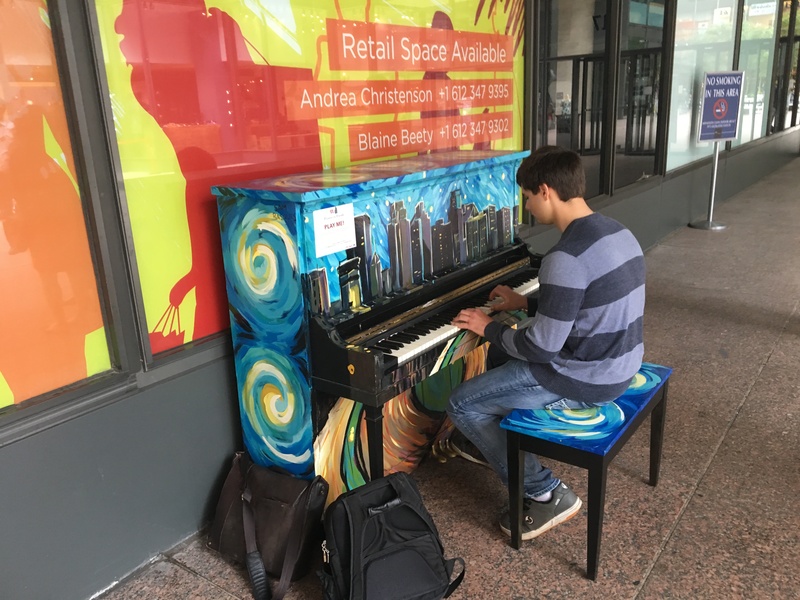 Stop by our 2019 Pianos on Parade locations and share your music with our downtown!